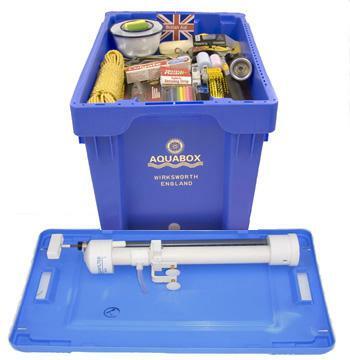 AquaBox a Rotary Club of Wirksworth project helping people caught up in disasters around the world. AquaBox has become a charity recognised worldwide for providing aid in disaster areas. For more information do watch the video below and visit their website. Each of their AquaBoxes contains. Cotton Wool Packet Bowls 2 off Childs small toy Doll?